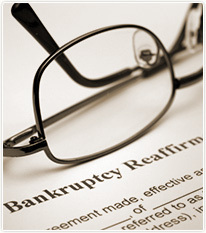 The bankruptcy schedules that your attorney will prepare for you are based upon the information you provide. All information you furnish to your attorney regarding your creditors must be complete and accurate. It is your responsibility to assure the accuracy of that information when you deliver the completed Questionnaire to the Fort Lauderdale bankruptcy attorney. Creditors who do not receive notice of your bankruptcy due to incorrect address or account number information may not be discharged and they may still come after you for the money. You may fill out your Bankruptcy Questionnaire Online (to get started, enter Attorney ID: ombankruptcy) or click on Bankruptcy Questionnaire to get a PDF copy for print. If a creditor has turned your debt over to a collection agency or an attorney, list both the creditor's information and the collection agency or creditor's attorney information as well. You are required to list all creditors, including your mortgage company and auto loan or lease company. You may not pick and choose the creditors to list on your bankruptcy schedules. If you want to pay certain creditors, you may reaffirm the debts during the bankruptcy process. You must list all property that you own. If you own real estate or a timeshare, you must also provide a copy of the deed. Your personal property is valued at the current resale value that someone would get if they sold the property. The Salvation Army and Goodwill have valuation schedules on their websites that can help you determine the value of your personal property. If a particular sofa or other property is extremely old or in bad shape, note the condition on the Questionnaire. If you don't know all of your creditors, you need to obtain a credit report from a credit reporting agency. If you have recently been denied credit, you are entitled to a free credit report from the reporting agency. Instructions for obtaining this report should be on the credit denial letter you received. Your attorney will order a more complete credit report for an additional fee during the preparation of the bankruptcy petition.